Snorkel SR1054 (L) and XR9244 telehandlers on display at World of Concrete 2019. 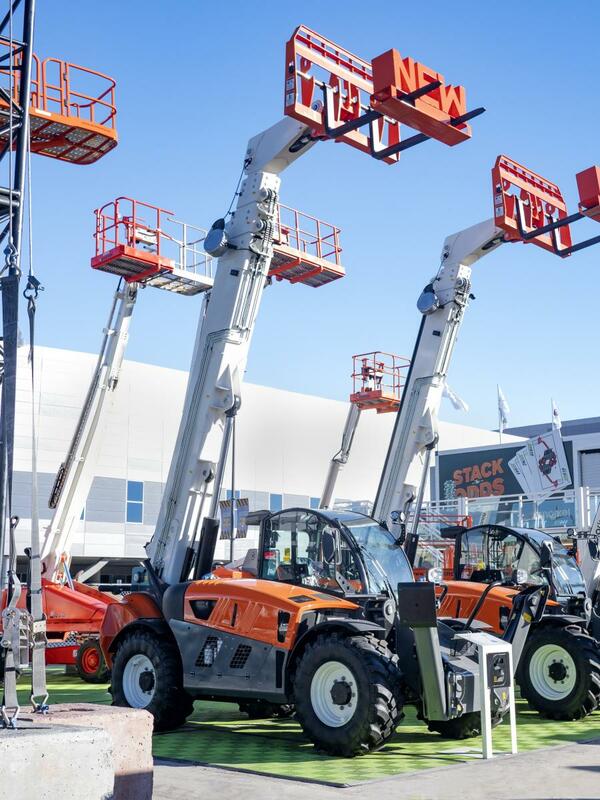 Snorkel celebrated the start of its 60th year in business with the launch of two new telehandlers at World of Concrete 2019. One year on from the introduction of the 5,700 lbs. (2,600 kg) capacity Snorkel SR5719 at World of Concrete 2018, the brand is introducing two larger capacity models — the Snorkel SR9244 and SR1054. The SR9244 offers a lift capacity of 9,260 lbs. (4,200 kg), a maximum lift height of 44 ft. 4 in. (13.5 m) and a forward reach of 31 ft. 2 in. (9.5 m), while the larger SR1054 delivers a lift capacity of 10,000 lbs. (4,535 kg), a maximum lift height of 53 ft. 9 in. (16.4 m) and a forward reach of 41 ft. 4 in. (12.6 m). For more information, visit www.snorkellifts.com.